The anonymous letter reached Judy Kveton in March 2017. 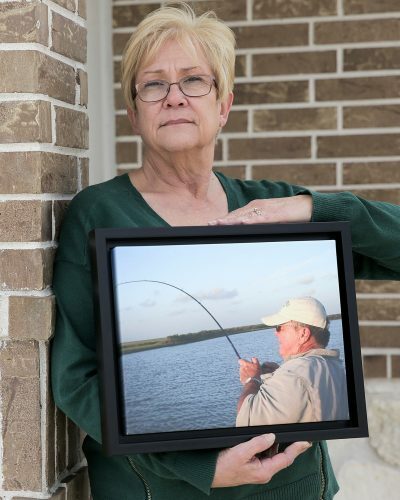 Nearly two months earlier, her husband’s failed heart transplant at Baylor St. Luke’s Medical Center had led to a week of follow-up surgeries, a pair of devastating strokes and then, his death. The donor heart that doctors had implanted in David Kveton was “just not acting right,” Judy remembers the surgeon, Dr. Jeffrey Morgan, telling her hours before she decided to remove her husband from life support. It said St. Luke’s has had some of the worst heart transplant outcomes in the country. It said other physicians had specifically voiced concerns about Morgan, the program’s lead surgeon. And it said, despite “numerous complications, deaths, and poor outcomes,” administrators had not done enough to correct the problems. The note left Judy in tears. Although it didn’t specify what went wrong with her husband’s transplant, it made her doubt the reasons she and her husband chose St. Luke’s more than a decade earlier, when his heart began to fail. The Houston hospital, which is affiliated with Baylor College of Medicine and the Texas Heart Institute, has long held itself out as one of the best in the world for heart surgery. 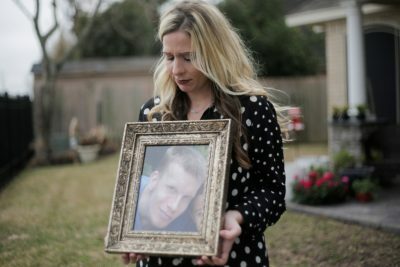 But in recent years, the famed program has performed an outsized number of transplants resulting in deaths or unusual complications, has lost several top physicians and has scaled back its ambition for treating high-risk patients, all the while marketing itself based on its storied past, an investigation by ProPublica and the Houston Chronicle reveals. St. Luke’s heart transplant survival rate, the most important measure of a program’s quality, now ranks near the bottom nationally, according to the most recently published data. 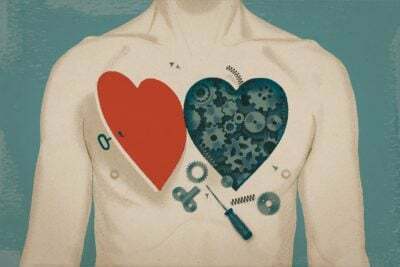 Among St. Luke’s patients who received a new heart between the summer of 2014 and the end of 2016, just 85 percent survived at least one year, compared to 91.4 percent nationally. Put another way, twice as many St. Luke’s patients died within a year as would have been expected, taking into account patient characteristics and illnesses. Many of the program’s troubles are spelled out in data published by the Scientific Registry of Transplant Recipients, which is funded by the U.S. Department of Health and Human Services to track and analyze transplant outcomes. SRTR reports, released twice a year, serve as a scorecard for transplant programs, capturing and presenting data on patient survival that spans a rolling 30-month period. In one of Morgan’s first transplant surgeries at St. Luke’s, in early 2016, he sewed shut one of two major veins that carry blood back to the heart, and the patient died a few weeks later, according to six medical professionals familiar with the case. Then, in January of this year, a heart defibrillator malfunctioned in the operating room during a critical stage of a patient’s transplant. Although the hospital said “a backup defibrillator was nearby and readily available,” the surgeon in that case, Dr. Masahiro Ono, described it differently. He said in an interview that the backup was not easily accessible, forcing him to pump the man’s new heart by hand for nearly 10 minutes. Meanwhile, more St. Luke’s patients have lingered in the hospital for weeks or months following their transplants, a sign of slow recovery or possible complications, experts say. Between mid-2016 and mid-2017, half of the program’s heart recipients stayed in the hospital for 27 days or longer after transplant, compared to 16 days nationally. That ranked third longest of 125 programs in the country. As the problems at St. Luke’s deepened, some doctors at the hospital raised concerns with administrators but said they were ignored. Some even began referring transplant patients to other programs. A few months after David Kveton’s death, the hospital posted a video online of Morgan touting the center’s excellence: “I truly believe that patients here get first-rate care that’s unmatched by any other institution locally, regionally, nationally or internationally,” he said, before asserting that the program had performed the most heart transplants in the country, which is not true, and that it had above-average outcomes. The hospital’s website also featured charts that provided a misleading picture of the program’s recent performance. Transplant program leaders provided data showing that the one-year survival rate for patients who underwent transplants since Morgan’s arrival in 2016 was about 94 percent, though the numbers do not capture the plight of patients who survived after having serious complications. How long before the median patient left the hospital after transplant between mid-2016 and mid-2017, for Houston hospitals and on average nationally. “We only have had one year with below-expected outcomes in the recent past, 2015, and that’s been corrected,” Morgan said. Hospital officials said if St. Luke’s has lagged behind its peers in measures of quality — including survival rates — it is primarily because the program treats older, sicker patients compared to many other programs. They also said more of their patients lack insurance coverage or the means to pay for rehabilitation, leading to longer hospital stays, though publicly available data shows that their patients have similar coverage compared to other hospitals. “Heart transplant patients often are very sick individuals who have undergone years of prior heart procedures, and sometimes even previous transplants or device implants to keep their heart beating, and often battle other illnesses and diseases — all of which can complicate a heart transplant,” the hospital said in a statement. Houston Methodist hospital, a short walk from St. Luke’s at the Texas Medical Center, performs transplants on heart failure patients who, overall, are older and in more dire condition than patients at St. Luke’s, according to SRTR data. Yet Methodist patients who received transplants from mid-2014 to the end of 2016 were significantly more likely to survive a year afterward. “St. 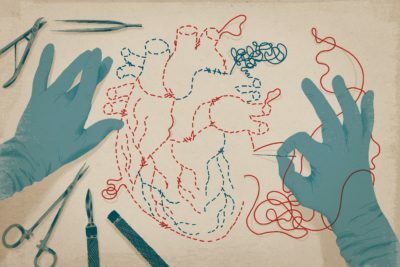 Luke’s and Texas Heart Institute really paved the way for complex heart surgery, particularly heart transplants, to become a routine lifesaving procedure,” said Dr. Tom MacGillivray, who took over as the lead heart transplant surgeon at Houston Methodist in 2016 after nearly two decades at Harvard University and Massachusetts General Hospital. 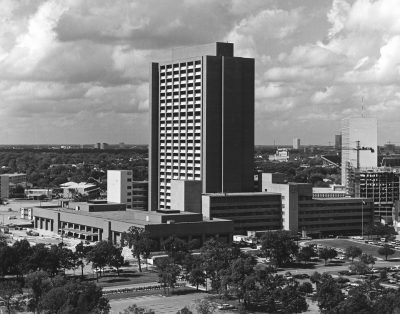 Judy Kveton (pronounced KWEET-on) remembers feeling awestruck by the history of St. Luke’s each time she entered the conjoined buildings it shares with the Texas Heart Institute. A museum near the entrance is filled with medical artifacts from past achievements. It was here that famed surgeon Denton Cooley performed some of the world’s first heart transplants back in the 1960s, and where his protégé, Dr. O.H. “Bud” Frazier, has pursued a lifelong quest to develop a complete mechanical replacement for the human heart. That’s why, when David Kveton, a construction worker, had an opportunity to transfer to another hospital in 2012, he and his wife decided to stick with St. Luke’s. His cardiologist, Dr. Biswajit Kar, was part of a team of physicians — including two other cardiologists and a surgeon — hired away from St. Luke’s that year to start a heart transplant unit down the street at Memorial Hermann Heart & Vascular Institute. Many St. Luke’s patients made the opposite choice. In 2013, the year after the doctors left, St. Luke’s transplant cases dropped by more than half, to 25, as dozens of heart failure patients shifted to the new program. Judy said she observed declines in her husband’s care at St. Luke’s in the years that followed, a period that coincided with other major changes at the hospital. A year after the team left for Memorial Hermann, St. Luke’s longtime owner, the Episcopal Diocese of Texas, sold the hospital to Catholic Health Initiatives, a Colorado-based nonprofit hospital chain. CHI’s rapid expansion was too much, too fast, and the chain amassed deep debt, according to the nation’s two largest credit-rating services. Last year, they downgraded CHI’s debt, with one specifically citing the organization’s “weak (financial) performance” in Houston as a cause for concern. A series of layoffs, staffing changes and other cost-cutting decisions since then hurt patient care at the chain’s flagship Texas hospital, according to several current and former St. Luke’s physicians. More changes could be afoot: CHI is in the midst of merging with another chain to become one of the nation’s largest nonprofit hospital operators. Behind the scenes, the program was reeling. Dr. Hari Mallidi, one of its leading surgeons, left that summer for a position at Brigham and Women’s Hospital in Boston, a teaching hospital affiliated with Harvard Medical School. Mallidi had come to St. Luke’s three years earlier, just before the team of doctors left for Memorial Hermann. When he started, he said, outcomes were “trending in the wrong direction,” but he instituted “some basic changes, and things got a lot better.” A review of SRTR data confirms that the program’s one-year survival rate improved during Mallidi’s tenure leading up to 2015. Morgan was an unconventional pick to lead a heart and lung transplant program as prominent as St. Luke’s. Top programs typically seek surgical leaders who have elite skills in the operating room while also conducting groundbreaking research. But Morgan was relatively early in his career, having been the lead surgeon on just 18 heart transplants in the previous five years at Henry Ford Hospital in Detroit, according to numbers provided by St. Luke’s. The program is smaller and less prestigious and had somewhat worse-than-expected outcomes toward the end of Morgan’s time there. The team at St. Luke’s saw potential. Dr. Billy Cohn, a longtime heart surgeon at St. Luke’s who now runs a medical device innovation lab for Johnson & Johnson at the Texas Medical Center, led the hiring committee that selected Morgan. 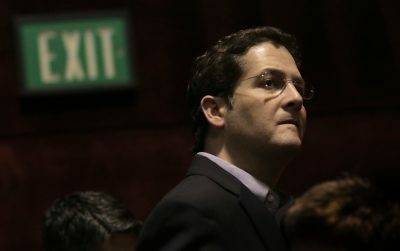 They chose him, he said, despite his relative lack of surgical experience, because he was “an academic superstar,” having published numerous studies about advanced heart failure and having served as a reviewer and editor for medical journals. Some of Morgan’s work in Detroit has been called into question. Since moving to Houston, he has been named in two malpractice lawsuits in Michigan’s 3rd Circuit Court. In one, filed in March 2017, a widow alleged that Morgan made a fatal error during a December 2014 operation to implant a pair of mechanical heart pumps in her husband, leading to an embolism in his brain. The hospital agreed to settle the case for an undisclosed amount of money a month after it was filed. 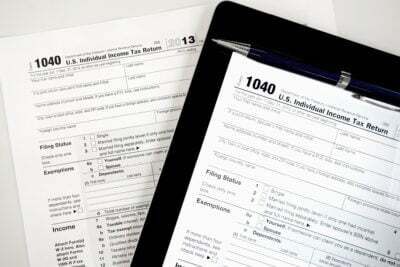 An attorney for the patient’s widow declined to comment. In another, a patient accused Morgan of failing to properly perform his quadruple heart bypass in July 2015. Later, another physician determined the original bypass surgery by Morgan “was performed incorrectly” and needed to be redone, according to the complaint filed this January. Morgan has been dropped as a named party in the lawsuit, although the case centers on his actions and continues against the hospital. The hospital denied the allegations in a March 1 court filing. The patient’s lawyer declined to comment, as did the hospital. “To the best of my knowledge, the medical care that I provided in these cases met or exceeded applicable standards,” Morgan wrote in response to written questions. Cohn acknowledged Morgan has made surgical “errors” since coming to St. Luke’s, including in his first weeks on the job, when he stitched through a major vein while implanting a new heart in a patient, blocking the flow of blood. Cohn remembered how physicians tried to figure out what had gone wrong when the patient’s condition began to decline after the transplant. Data from the Scientific Registry of Transplant Recipients shows that in recent years, more heart transplants than expected at Baylor St. Luke’s Medical Center resulted in death or required a re-transplant within a year. The registry tracks outcomes over a rolling 30-month timeframe. Morgan said federal patient-privacy requirements prevented him from discussing the case without the family’s approval. Former St. Luke’s cardiologist Dr. Roberta Bogaev said she asked administrators to commission an external review toward the end of Morgan’s first year at the program, in late 2016, and she began referring some of her most challenging heart failure cases elsewhere. “It becomes very ethically challenging to recommend transplant if you don’t have that confidence level in your surgeon,” Bogaev said. Surgical leadership was not her only concern. She said the loss of many experienced nurses and specialists following CHI’s acquisition — including in infectious disease, critical care and pathology — likely led to poorer transplant outcomes. And the policies of new hospital leadership restricted physicians’ ability to pursue innovative research, she said. “I can tell you I have patients who would not be alive today if not for the program at Texas Heart Institute, and I’m a better physician because of the time I spent there,” Bogaev said. “But there was a clear change in direction of the whole program and the spirit of the program. And certainly the staff felt it, the patients felt it, and I am confident it caused a lot of the physicians as well as patients” to leave. Dr. Deborah Meyers, the medical director of the heart failure program at St. Luke’s until early 2017, also raised concerns both before and after Morgan arrived. “I had multiple conversations with multiple medical administrators during my tenure who were unwilling to get an external review to address the problems and unwilling to make substantial changes,” she said. Meyers, who now practices cardiology in Salinas, California, said she also referred some of her patients in 2016 to other hospitals because of her concerns. Dr. Todd Rosengart, the chair of surgery at Baylor College of Medicine, played a leading role in hiring Morgan and said he considers him among “a number of luminaries” of surgery he has recruited to Houston in recent years. Morgan, like most physicians who practice at St. Luke’s, is an employee of Baylor, where he is a professor and chief of cardiothoracic transplantation. “I have nothing but excellent things to say,” said Rashid, who credits Morgan and his other St. Luke’s physicians with saving his life. Despite the early problems, Cohn said he does not regret recruiting Morgan. He said Morgan’s “surgical skills have come a long way” over the past two years, and he believes hiring him will work out in the long run, even if he never becomes one of the best in his field. “Is it possible that someday Jeff is one of the most distinguished and experienced heart surgeons in the country?” Cohn said. “I don’t think so. I don’t think he’s that guy. … Mainly because he is so focused on academia, and that takes a lot of time. Judy Kveton knew nothing about Morgan’s background or the concerns raised by his colleagues when Morgan walked into a waiting room in the early-morning hours of Jan. 26, 2017, following her husband’s transplant. Morgan recalls that conversation differently than Judy and three other family members who were in the room. “After the surgery, I thoroughly explained to Mrs. Kveton that her husband was critically ill and was on a lot of medication to keep his blood pressure up,” he wrote in response to questions. The downward spiral is detailed in David’s medical records: On Jan. 28, doctors inserted a balloon pump into the donor heart, an attempt to increase its pumping strength, but improvement was marginal. Three days later, a CT scan revealed he had likely suffered a stroke, though family members say they were not told of bleeding in his brain. It was the last time she spoke to the surgeon. Early the next morning, a nurse called to tell her something had gone wrong and that she and her children should make their way to the hospital. Once they arrived, the nurse quietly told Judy her husband had suffered another stroke. Hours later, a neurologist confirmed David might never recover normal brain function. That’s when his family decided to withdraw life support. Judy gave permission, then never heard back. Instead, she received a bill for more than $1 million for the transplant and her husband’s final week in the hospital. 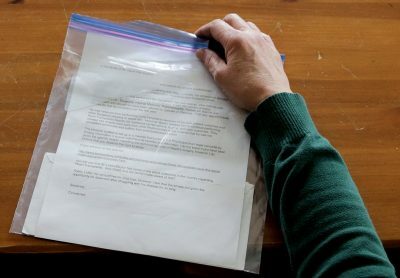 For reasons unknown to her, Medicare was refusing to pay, and now St. Luke’s billing department was writing to collect. Two days after David Kveton’s funeral, Morgan was at the helm of another transplant that went poorly. Lazerick Eskridge had been on the heart waiting list at St. Luke’s since 2015, a little more than two years, when he and his wife, Lisa, received word the hospital had a heart for him on the night of Feb. 8, 2017. Lazerick, a Navy veteran, also had been given an opportunity to transfer to Memorial Hermann years earlier when his cardiologist, Kar, left to start the transplant program there. Like the Kvetons, the Eskridges couldn’t imagine leaving a hospital as renowned as St. Luke’s. The morning of the surgery, they were greeted by Ono, the surgeon who soon plans to leave St. Luke’s. He told them he would be performing the transplant. But later that night, after hours of surgery, it was Morgan — a doctor the Eskridges had never met — who emerged from the operating room. Ono, Lisa was told later, had been tapped for a lung transplant. Although Morgan said he thoroughly explained the situation to the family, Lisa said she doesn’t remember anyone telling her specifically what had gone wrong that night. All she knew was that her husband’s new heart wasn’t pumping enough blood, and something had caused his head to swell grotesquely. Later, when she visited him in the intensive care unit, she said his eyes were bulging from his face. “It didn’t even look like him,” Lisa said. 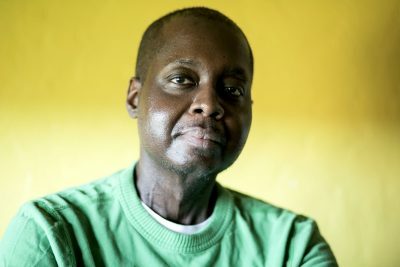 Lazerick, now 47, had long suffered from congestive heart failure — a side effect of chemotherapy treatments two decades ago — but his kidneys and lungs had always been fairly strong. Since his heart transplant, he has been in and out of the hospital with breathing difficulties, including in December, when he spent weeks connected to a ventilator. When he’s not in the hospital, his days are consumed with medical appointments. The Eskridges were surprised to learn from a reporter that the federal government had cited St. Luke’s for poor heart transplant outcomes. That prompted them last month, more than a year after the transplant, to ask Lazerick’s cardiologist, Dr. Joggy George, if he could tell them more about what had gone wrong. A Chronicle reporter sat in on the appointment at George’s office in St. Luke’s medical tower, a short walk from the hospital. What the doctor said left Lisa in tears. George said he was later told by others in the room that a major vein connected to the heart must have been stitched through during the transplant, effectively pinching the vessel shut and causing blood to back up in Lazerick’s head. George explained that many of Lazerick’s problems since then — his kidney failure, his breathing struggles, his inability to keep food down — may trace back to the blocked vein and the string of emergency operations and complications that followed. After it became clear that blood wasn’t flowing into Lazerick’s new heart, Morgan performed an emergency procedure, connecting a smaller vein directly to the donor organ and permanently bypassing his superior vena cava. Because the bypass vein is smaller, George said Lazerick is at a higher risk of developing clots and must take blood thinners daily. “I personally have not seen that happen before,” George said, explaining that it’s unusual for a major vein to be sutured closed during a transplant. In a statement, Morgan said the vein tissue was “severely abnormal” because of Lazerick’s past cancer treatments and also was distorted by wires attached to the cardiac devices in his chest. Morgan said he used sutures to reinforce the vein’s connection to the heart, but due to “concern for narrowing,” he performed the bypass, which continues to work. In defending its continued promotion of the heart transplant program as a national leader, St. Luke’s officials provided data showing that patient survival rates rebounded after Morgan’s arrival. She has spent hours sifting through stacks of her husband’s medical records, more than 2,000 pages, searching for passages that might tell her why he died. It’s hard to make sense of any of it, she said, but there are clues. On the night of the initial surgery, an anesthesiologist, Dr. Manu Sethi, wrote a report noting that he observed complications after the transplant: “Multiple attempts to come off pump,” Sethi wrote, then indicated David Kveton was receiving drugs to strengthen heart contractions and increase his blood pressure. Two days later, a cardiologist, Dr. Ajith Nair, wrote a note in David’s electronic medical record that included a hypothesis about what was causing the transplant to fail: “Suspect primary graft dysfunction, possibly due to ischemic time,” Nair wrote, suggesting there may have been too much time between when the transplanted heart was removed from the donor and when it was implanted in David. Nobody at St. Luke’s ever expressed that concern to Judy, she said, and the medical records released to her didn’t include any other information about the donor heart. She needed the help of a lawyer to get the hospital to release the autopsy Frazier had ordered. When she finally received a copy in October, it only seemed to raise more questions. The St. Luke’s physician who conducted the autopsy reported signs of a heart attack in the donor heart at the tip of the left ventricle. But the report didn’t draw any conclusions about what factors may have led to David death. In the fall, after talking with a reporter, she asked the United Network for Organ Sharing for details about the donor heart. She wanted to know what condition it was in, how much time passed before it was stitched into her husband’s chest, how many, if any, other hospitals had rejected the organ before it reached David. The organ-sharing agency initially gave her guidance on how to request some of that information, then abruptly reversed itself, declining to provide records without a subpoena. 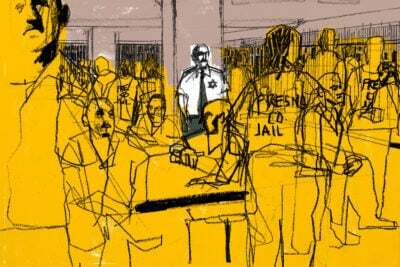 “I feel like the entire system is stacked against me,” Judy said in January, throwing her hands up in frustration. At least she’s no longer burdened by the prospect of owing St. Luke’s more than $1 million. Medicare eventually, without explanation, agreed to pay a small fraction of that amount, relieving her of any obligation.